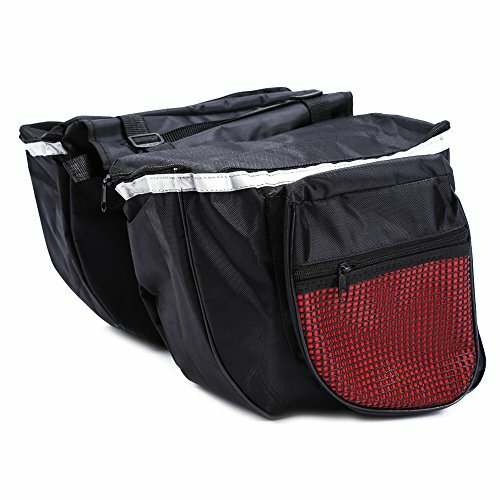 Durable Polyester, High Quality — Made of water and mud resistant extra lightweight but durable 300D polyester material, this rear seat bag is solid and sturdy, and safer protection for your gears. The bottom padding is specially thickened which is anti-skid and abrasion resistant. 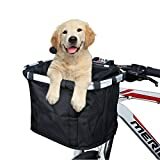 Multifunctional, Safer Riding — This bag can be used not only when you are riding your bicycle but while walking, shopping or picnicking with your friends. 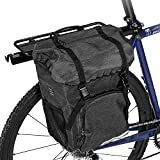 Besides the durable hook and loop fasteners straps that will securely attach it behind the saddle. This bag can be used as a chest bag, when not in use, shoulder strap can be hidden in the bottom of the bag. 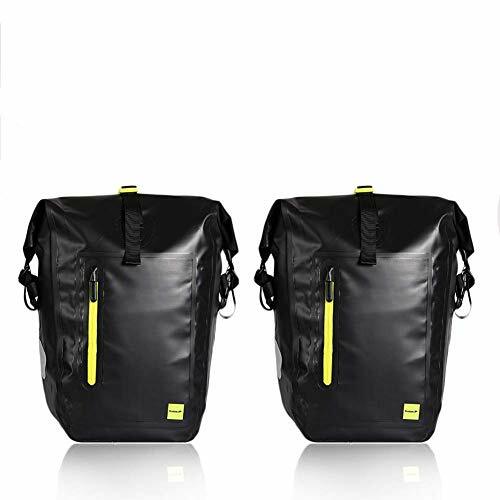 Massive Capacity, Convenient Side Zipper — 8L large load capacity allows your cycling coat, repair tools, tire pump, power bank, water bottle and etc, to be put in. The size of the bag is 12.9 x 6.3 x 5.1 inch (L x W x H), the zippers of the bag are designed for your convenience to store and pick up articles. 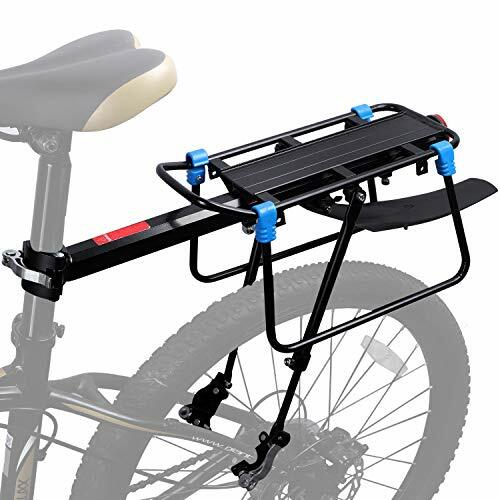 Easy Installation, Quick and Convenient — Fastener hook and loop fasteners straps for easy and quick installation on all types of bicycles with a rear seat, such as mountain bike, road bike, etc. Well Made, Unique Design — The aerodynamic shape and position help to reduce air resistance to the minimum, which provide you high speed cycling experience.